Following are some of the most commonly asked questions we receive regarding waste water systems. Every system will have its unique circumstances to consider, so feel free to contact us to discuss your needs. We just moved in and have no idea how this system works. Where do we start? Upon move-in, check to make sure that the breakers in the control panel outside and inside are in the on position. Contact us and we can walk you through this process if assistance is needed. Am I required to have a maintenance contract with a Maintenance Provider or can I maintain my system myself? TCEQ requires all aerobic waste water systems be maintained by either a licensed Maintenance Provider or a certified property owner. Aerobic systems are more complex and do require more maintenance. Per TCEQ, maintenance may be performed by homeowners for systems using secondary treatment or drip irrigation, and surface application disposal. Some permitting authorities have adopted more stringent requirements, which may require homeowner training or even prohibit homeowner maintenance. Check with your permitting authority to find out if it has adopted more stringent requirements. Contracting with a licensed maintenance provider to check, troubleshoot and test the system as required in 30 TAC §285.91(4) will help ensure that the system operates correctly. The maintenance provider inspects components of the system and notes whether or not every component is working during each site visit. The maintenance provider will tell the homeowner of any problems or repairs to be made. Any required repairs that are not made will be reported to the permitting authority. Having a professional routinely check your system ensures proper operation and health safety. Is it safe to have the wastewater sprinkled onto my yard? As long as your system is functioning as designed, all systems components are working correctly, and it is being properly maintained, it is safe. There is an alarm going off, what should I do? There should be a mute button, most often a toggle switch on the side of the control panel where the alarm is located. Check to see if your compressor is running or if your sprinklers have been spraying. Mute the alarm and contact us. Why does my system smell? The most common reason an Aerobic Waste Water System will smell is due to lack of air. It must have continual air-flow at all times or the beneficial bacteria will die, causing it to smell. Make sure your compressor is running & that your breakers are not tripped. If it’s still not getting air, contact us. How often do I need to have my system pumped? On average every 2 to 3 years or whenever if an overload occurs. There are many variables that can affect this including system design, size and individual use. We highly discourage anyone from pumping only one tank on a multi-tank system. To correctly clean a system out a system, all tanks need to be pumped. Attempting to only pump out one take will cause you to waste money in the long run and would be a very temporary relief from the already overloaded situation. My sprinkler heads are losing pressure. The pump is probably stopped up and needs cleaning. How often do I need to put chlorine into my Aerobic System? weeks to be sure it has enough chlorine. Can I use swimming pool chlorine in my septic system? NO, DO NOT USE TABLETS DESIGNED FOR SWIMMING POOL USE AS THESE MAY RELEASE AN EXPLOSIVE GAS CALLED NITROGEN CHLORIDE. When disinfection of secondary effluent is required, use a chlorine tablet made from calcium hypochlorite that is certified for wastewater disinfection by EPA. The tablets are very reactive and will kill 99% of the bacteria present in the effluent within 10 minutes. Follow all warning and precaution statements of the chlorine tablet manufacturer to protect yourself and the system equipment. .
Why is there nasty smelling water puddling up in my yard? What is a lateral line? tanks and are buried underground. 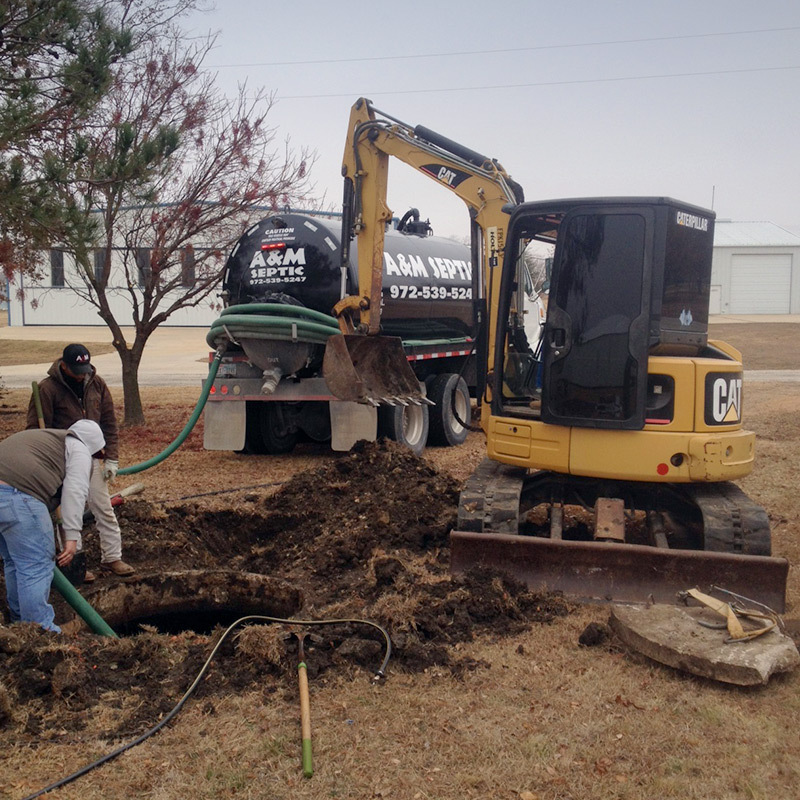 Why should I pump my septic system? My neighbor has never pumped his, but mine won’t work. system types affect the operation of a system as well. Sandy soils work better and longer than clay type soils, as they drain faster and more efficiently. Usage, system design and the age of the system are also determining factors. I had my conventional system pumped last week and it is full again. The lateral fields are full due to high ground water or a failing system and simply will not take any additional liquids. There may also be a broken or clogged pipe causing it to not drain. Some systems are designed to use a lift pump which may also be failing.